The day of crow is a traditional khanty and mansi day for celebrating the arrival of spring. According to the legend a crow brings spring on its wings. 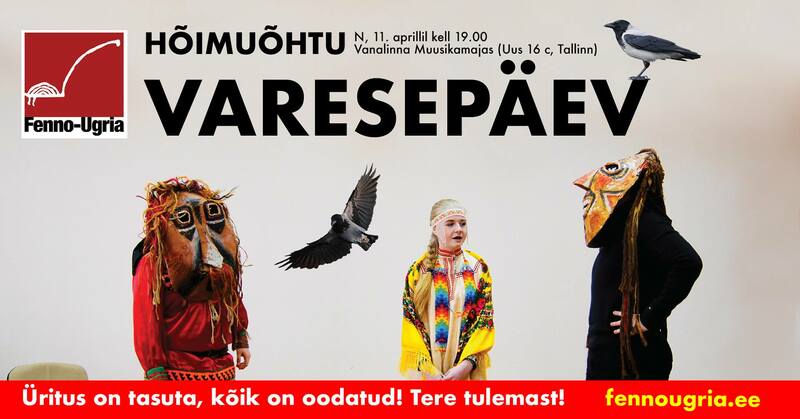 On the day of crow evening khanty and mansi people from Russia will perform a ritual in Tallinn Old Town Music house in Tallinn, Estonia. There will also be a concert by the students from the Institute of Nordic Peoples from A. Herzen Pedagogical University – Manizha Dzhailova, Kirill Babykin and the mansi language teacher Valentina Ivanova. They will sing mansi songs and introduce the mansi language. This event is dedicated to the UNESCO year of indigenous languages. It is supported by the Kindred Peoples Programme of Ministry of Education and Research of the Republic of Estonia, Estonian Cultural Endowment and Tallinn Culture Council. Entrance is free for everyone!